Wheelies are pretty much the epitome of over-zealous performance. but in a good way. While most racers are trying to keep their wheels on the ground, there are a dedicated few who live for lifting the nose. The results are always awe-inspiring, and few things are more impressive than a 3,000 pound car flying down the drag strip with its nose held high like some spoiled teenager. This first video from Streetfire dates back a few years, from the 2006 Clash of the Titans at San Antonio raceway. It shows what happens when a wheelie goes right. The driver, “Racin’ Jason took his Chevy-powered Mustang down the strip more for show than go. He even launches into a second wheelie down the track, sending sparks into the air and a roar from the crowd. But wheelies are dangerous business, as these next two videos show. This white Fox-body Mustang wobbles at the 250 foot mark, and by the 300 foot mark it is out of control and tumbling down the race way, eventually flipping and righting itself. This final video shows another Fox-body (looks like SVO) Mustang getting up right off the line, and than getting up a second time before losing control. It slammed into the opposite wall, after the driver held on to the throttle what seemed like a bit too long. This was a less-epic crash, but still a reminder that racing is best done on four wheels. But at least they put on a good show. 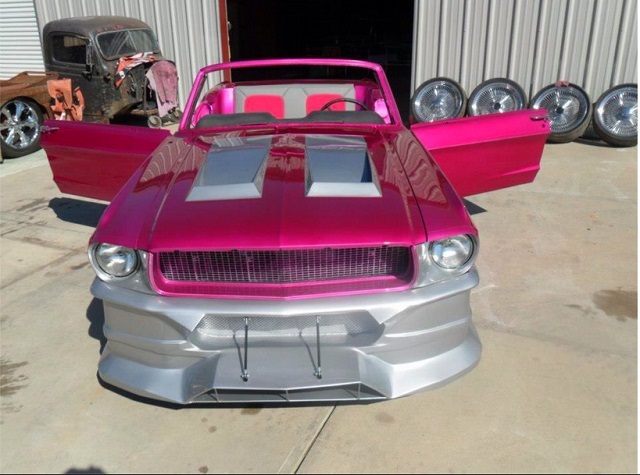 This entry was written by by Chris DeMorro (Stang TV Forums) and posted here on Friday, August 21st, 2009 at 2:02 pm and is filed under Vintage Mustangs. This article was not written by us, rather gathered using RSS feeds listed here. We take no credit for this article. Both comments and pings are currently closed.